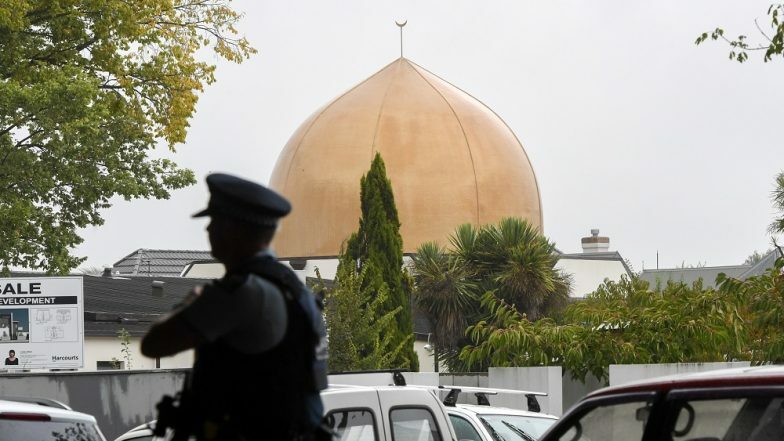 Auckland, April 15: At least 6 people have been charged by a New Zealand court for sharing the "live streaming" of the terror attack at two mosques in Christchurch last month. While 4 among them have not been taken into custody, two others - businessman Philip Arms and an 18-year-old suspect - have been detained for the objectionable message posted by them while spreading the horrific shooting footage. The 18-year-old's bail plea was opposed by police prosecutor Pip Currie, citing the "Target Acquired" message written by him on social media while sharing the hate crime footage. Curie told the bench that it is a matter of "significant concern" why he chose the said two words while spreading the video. Five Indians Among 50 Killed in NZ Fascist Terror Attack. Agreeing with the prosecution's argument, Christchurch District Court Judge Stephen O'Driscoll denied bail to both the accused. The bench will convene on July 18 to re-hear their bail petition. As per the applicable laws in New Zealand, the charge of "supplying or distribution objectionable material" could attract a maximum punishment of 14 years imprisonment. The far-right fascist terrorist, Brendan Tarrant, had gone live on Facebook when he used a machine gun to fire indiscriminately at Muslims praying at the Al-Noor mosque in Christchurch on March 15. The video was viewed at least 4,000 times on Facebook, before the social media company blocked the footage. According to reports, the video was taken down nearly 12 minutes after it was uploaded.